Pumpkin gnocchi, errrr, pumpkin ricotta gnocchi. 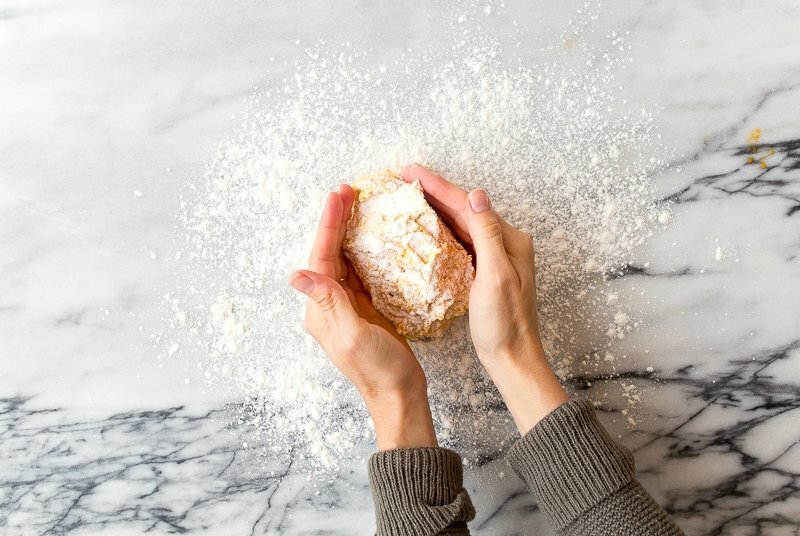 The only way I make gnocchi is with ricotta, because it is seriously so easy! Read on for the step-by-step in photos! 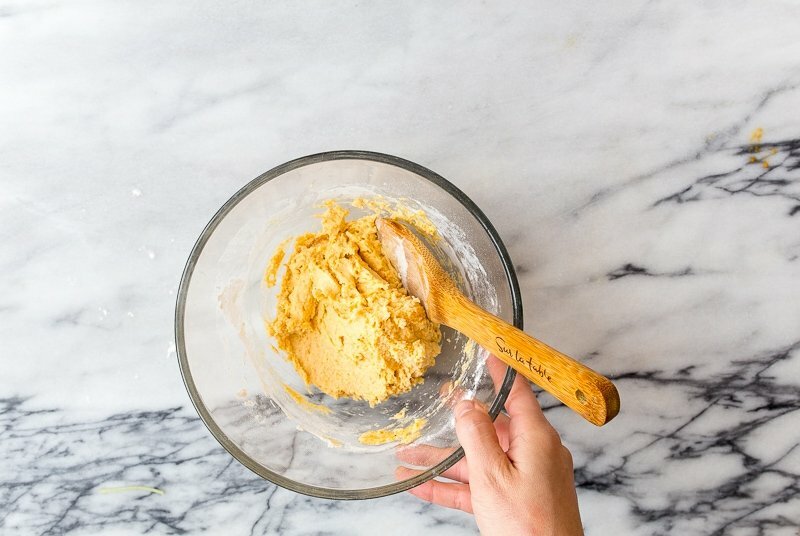 I made pumpkin gnocchi last weekend. I didn’t intend to share it with you. I made it as a meditation of sorts. It was a Saturday afternoon, and I was playing with Camille while my husband was raking leaves. 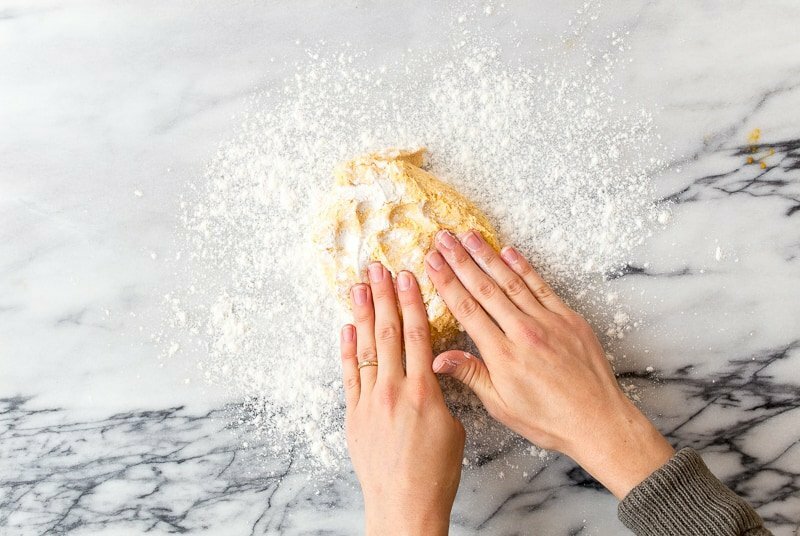 I knew I needed to get my hands in some dough, but at the last minute, I decided I want to photograph my hands in the dough, too. So, I precariously balanced a tripod to take step-by-step photos for you. And, miraculously, the baby didn’t bump the tripod one time! I gave her my collection of mini vintage pie tins to play with (seen here), and she stacked them to her heart’s content while I worked. We both had fun in the kitchen that day. We both had a big bowl of homemade gnocchi after it was all over, too. I’ve always made gnocchi with ricotta. 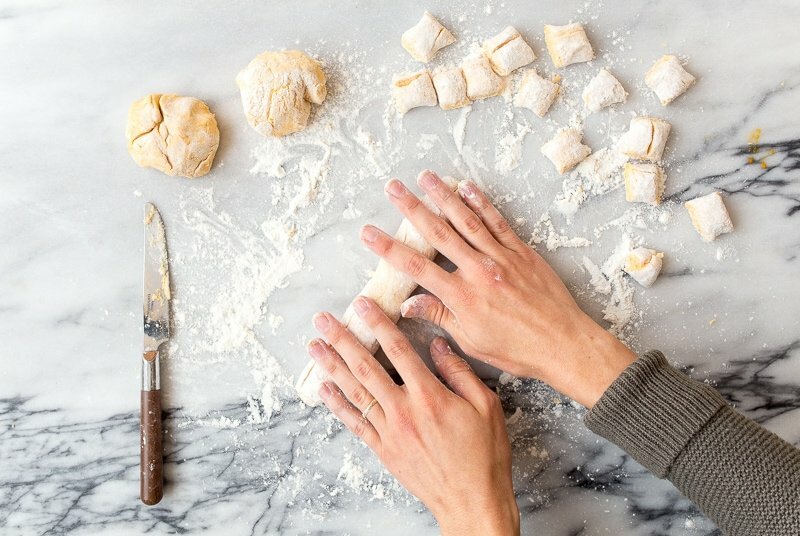 Wait, I made authentic potato gnocchi one time, and they were good, but I didn’t like how the recipe instructions threatened me constantly about over-mixing. I don’t like being bossed around (especially in the kitchen! ), so I looked for a more forgiving/ nonjudgmental gnocchi recipe. 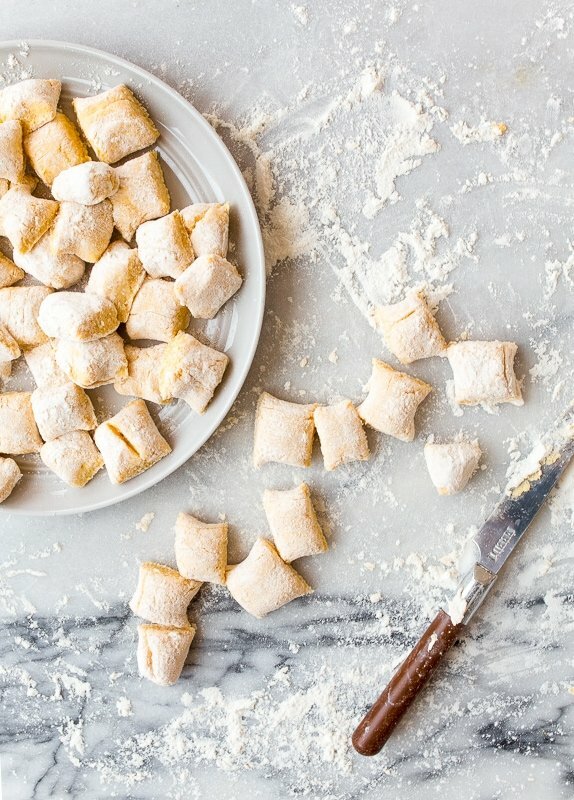 These ricotta gnocchi have been my go-to ever since. I’ll try to hold up the cause and prevent you from over-mixing by telling you to stir everything together and then stir in the flour last. I’m never going to boss you around. Until the next time I tell you not to over-mix. I pan-fried the first batch in butter (after I fried the sage leaves in the butter), but the next batch, I boiled, because I wanted to pop soft little pillows into my mouth until I couldn’t feel things anymore. This recipe makes enough gnocchi for two (it’s kinda my thing), but you can easily double it to serve more. I probably scaled the recipe down from a big batch, anyway. 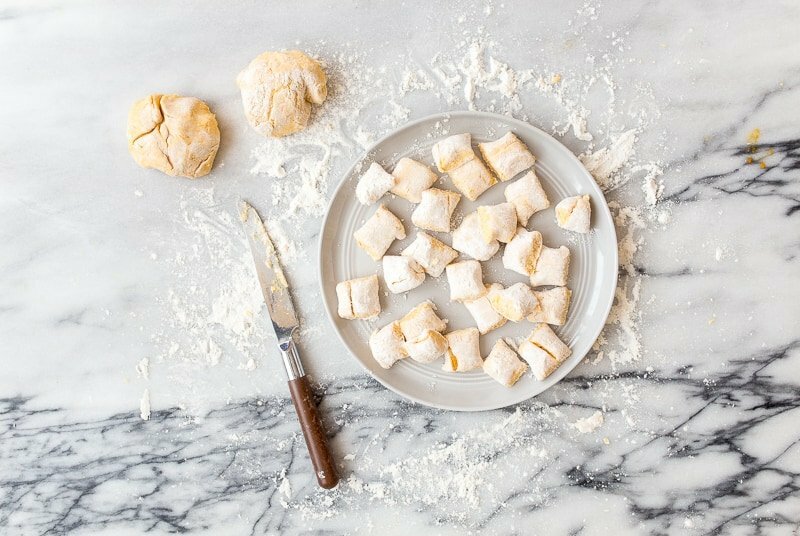 I shared this ricotta gnocchi recipe, sans pumpkin, a few years ago. I ate this whole pan. No shame in my homemade pasta game. 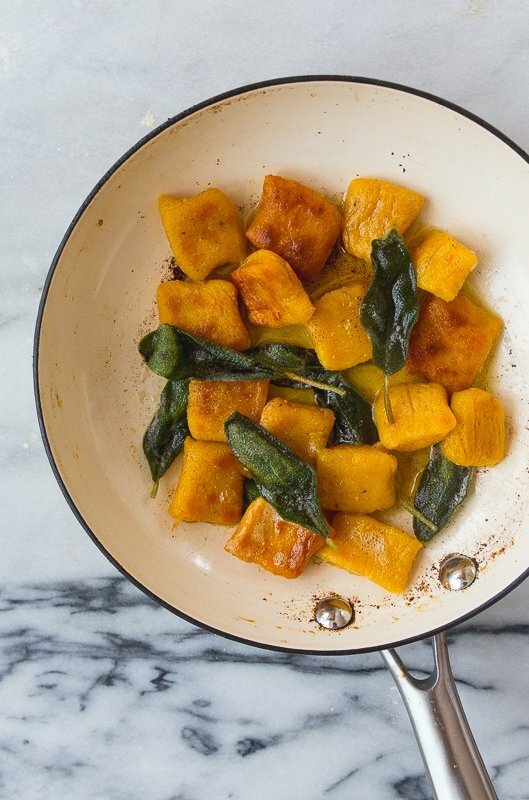 Easy pumpkin gnocchi with sage butter sauce for two. 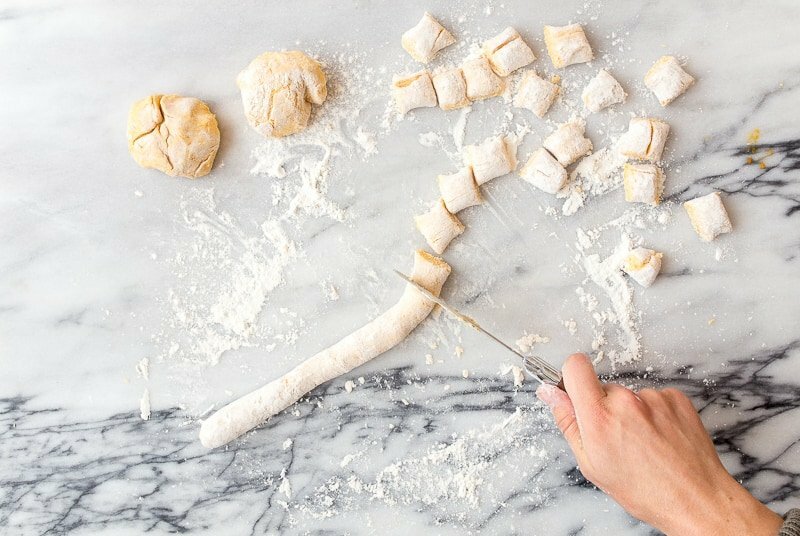 First, make the gnocchi: Combine all of the ingredients except the flour and mix very well. Add the flour and stir just until combined. It will be sticky, but you don't want to over-mix. Flour the board well, add the dough, and flour the top of the dough. Cut it into quarters, and use extra flour to roll each quarter into a long rope. Cut 1" dumplings from the rope. Set aside. To cook the gnocchi in the butter sauce: melt the butter and oil in a 10" skillet until starting to sizzle. Add the sage leaves, and fry until crispy, about 20 seconds. Remove the sage leaves from the oil (save for garnish), and return the pan to the heat. Next, add the gnocchi in one layer, and don't move them until they brown on one side. Flip and repeat on the other side. Serve with the sage leaves and extra butter from the pan drizzled on top. This looks wonderful! I’ll definitely be making it soon. 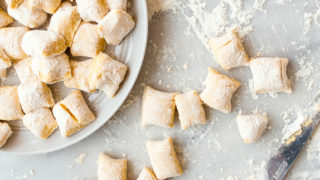 Ricotta gnocchi? I’ve never made it like that before, but it’s going to make a delicious Sunday supper for the fam. Can we also talk about how gorgeous these photos are? 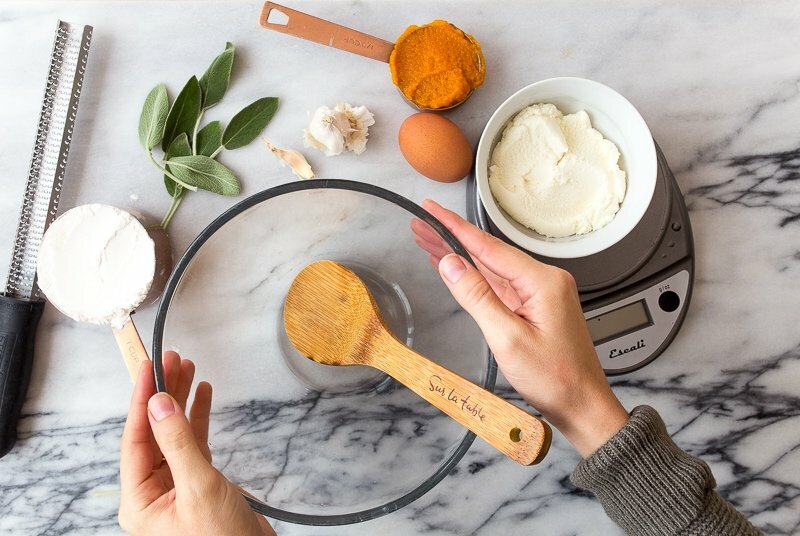 Not only are your photographs beautiful, but this recipe is mouthwatering! These are so delicious and fluffy! 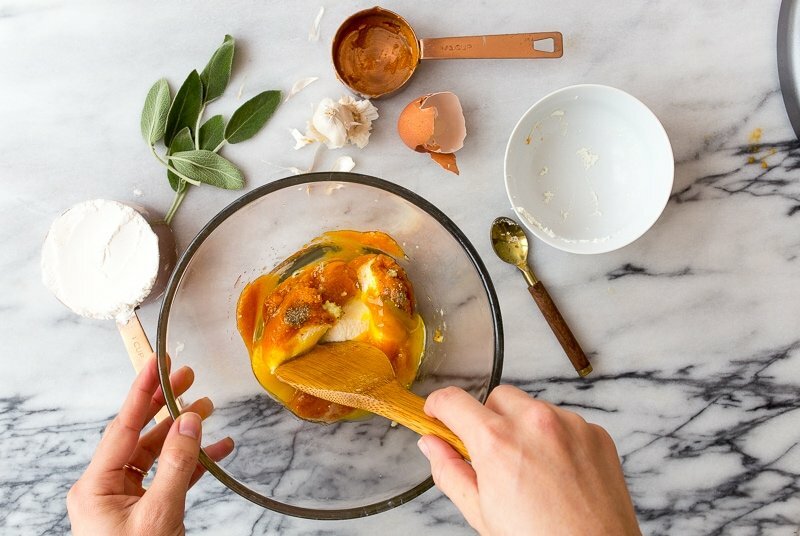 What can I use as a substitute for canned pumpkin? 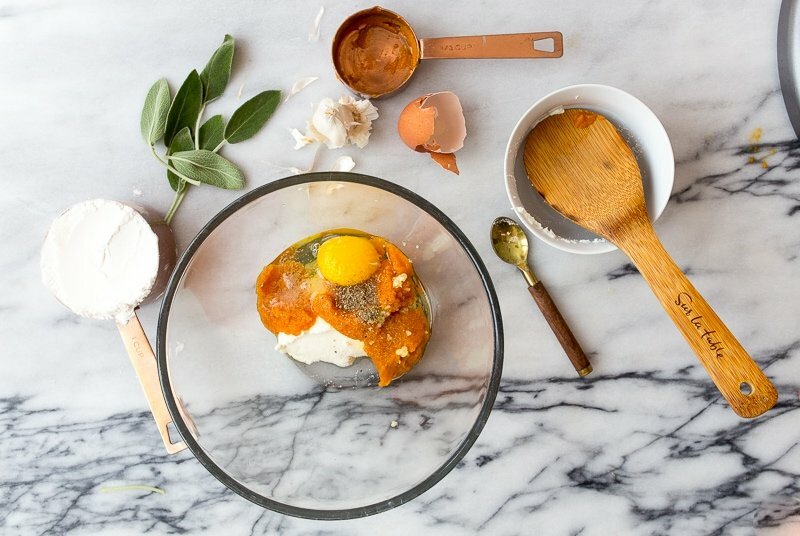 I love ricotta. I love pumpkin. I love gnocchi. I love sage. It’s 6am, and I’m drooling for this now!!! Can’t wait to make it. Bravo for scaling down your recipes for two as it is just my husband and me. ???? This is on my to do list as soon as I get home from Germany. We have been three weeks in Germany on vacation. Pumpkin is big here this time of year. Last night I had a purée of pumpkin and potatoes that was delicious. I don’t know what else was in the dish, but I would think it is healthier than puréed potatoes. sweet potato works well as a substitute for canned pumpkin…but you have to roast it first! If I would like to try the boiled version – how long should I boil them for? And then after boiling them do you saute in butter to crisp them up or just eat them as is? Thanks!! !